Take a deep breath. Sit down. Maybe get a nice cup of tea, because there are a couple of different ways that you could take this news, and it's best to calm yourself a bit first. We might be getting some Ben Affleck-as-Batman standalone films from DC in the coming years. Yep. So much more Batman. Now, Batman's an iconic character for a reason, so the rumor that DC's planning a 2019 Batman solo film to follow up Batman V Superman: Dawn Of Justice and that Justice League movie makes some sense, I guess. A lot of people are certainly torn on Ben Affleck in the role of Batman, that's for sure, so it's debatable how his performance will factor into the decision-making and the fan response to said decision-making. 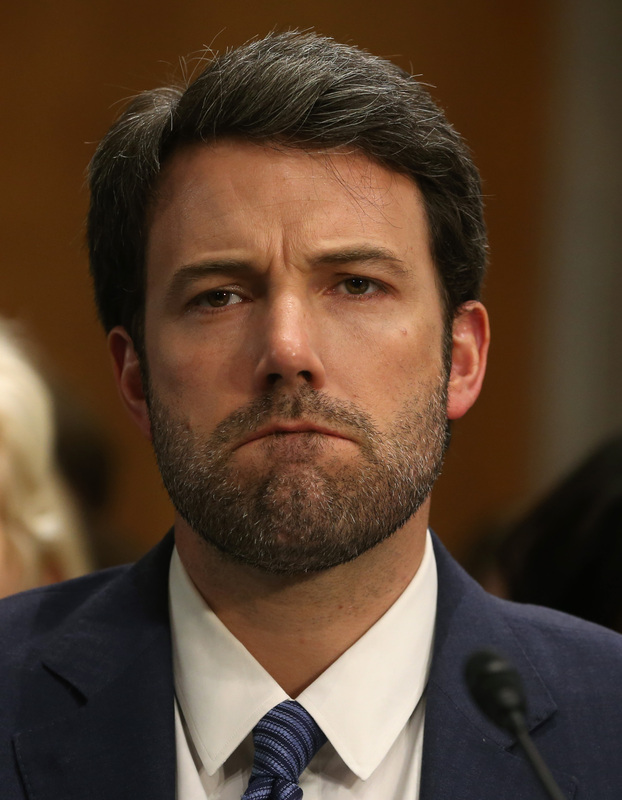 And hey, Affleck might be really great in the role! I'm not kidding there, I think there's a distinct possibility he'll do a great job and show us a Batman we didn't get in the Christopher Nolan films. But that's the thing: If plans for more Batman solo films follow through, it just seems like DC would be making the same wheel-spinning mistakes Marvel (or at least Marvel's rumor mill) sometimes makes. We just got a Batman solo film — three of them! — a few years ago, just like we just got a Hulk solo film in 2008. We'd barely gotten over Spider-Man 3 when The Amazing Spider-Man came along. We're big fans of superhero movies round these parts, but come on! It's just too much! Give some room for some of the other superheroes out there, why dontcha? There's a reason Batman and Superman are so iconic and their stories so well-known, and that last part's at least partially because we've seen so many movies centered around them. There's absolutely nothing to say we can't make any of the thousands of other superheroes out there just as well-known down the road. But the key to getting to iconicity is maybe spending the hundreds of millions of dollars that might be spent on another Hulk and instead, put it into a Black Widow movie, or spending some of the hundreds of millions of dollars they'd spend on a Batman solo film and put it towards a character whom we don't know the ins and outs of quite as thoroughly as we know Bruce Wayne or Clark Kent. We wish all the best to Ben Affleck as Batman, but we really hope this solo film rumor turns out to be false.